Imagine running the Boston Marathon. Departing from Hopkinton on the 26.2 mile course, running past the famed Wellesley scream tunnel, entering Boston, taking a right on Hereford Street, a left on Boylston Street and crossing the finish line outside the Boston Public Library. Tired? Now, turn around and run back. Exhausted? Imagine you have 9.1 miles left on your journey. For most, a 62.1-mile trek seems unimaginable. For Sarah Bard '06, a 62.1-mile run was not only possible, it was something she took in stride. Early this month, competing for the team representing the United States at the International Association of Ultrarunners 100-Kilometer World Championships in Winschoten, Netherlands, Bard finished her 62.1 mile race in 7:29:01. Her time was the fourth fastest among women and second fastest on the U.S. team, helping the three-woman U.S team of Bard, Camille Herron and Meghan Arbogast win the gold medal with a combined time of 22:39:35. At Wellesley, Bard was a four-year varsity cross country runner and a two-time New England Women’s and Men’s Athletic Conference (NEWMAC) honoree, in 2002 and 2004. She was a scoring member of Wellesley’s 2002 NEWMAC Championship team and was twice named All-New England, in 2004 and 2005. "One of the main reasons I chose to attend Wellesley [was] because of John Babington," said Bard of the Blue’s cross country coach from 1987-2012. "More than anything it was clear that the motivation behind wanting to build a strong program was his devotion to and passion for running." Despite her love for the sport at Wellesley, Bard’s journey to Winchoten and the 100k World Championships started after she graduated. "After Wellesley, I took some time away from running," she said. "I honestly wasn't sure if I would ever get back into it." With the encouragement of friends, Bard returned to running after about a year and a half. Over the next six years, she continued to improve, running a personal record of 2:43.16, third place among female competitors, at the 2013 Hartford Marathon. However, she was still uncertain about her devotion to the sport. "I still loved running," she said, "but I was confused about what to do with my racing and training—the motivation for the marathon wasn't there." After five more months away from the sport, Bard tackled a new challenge. She said, "I decided on a whim to try an ultra distance." She signed up for the JFK 50 Mile Ultra Marathon and started training "about a month before the race." The new event reignited Bard’s passion for the sport, as she debuted at the 50-mile distance by finishing first among female competitors and 13th overall in 6:37.04. During her time at Wellesley, Bard said she realized that her focus on academics came first, allowing her to compete for the love of the sport, something she has recaptured at the ultra distance. "This approach and attitude has impacted how I think about running now," said Bard. "I love it. But, I still have that balance, where I recognize that there are other aspects of my life outside of running, and that it's not just about [personal records] and accomplishments, but about passion and enjoyment." 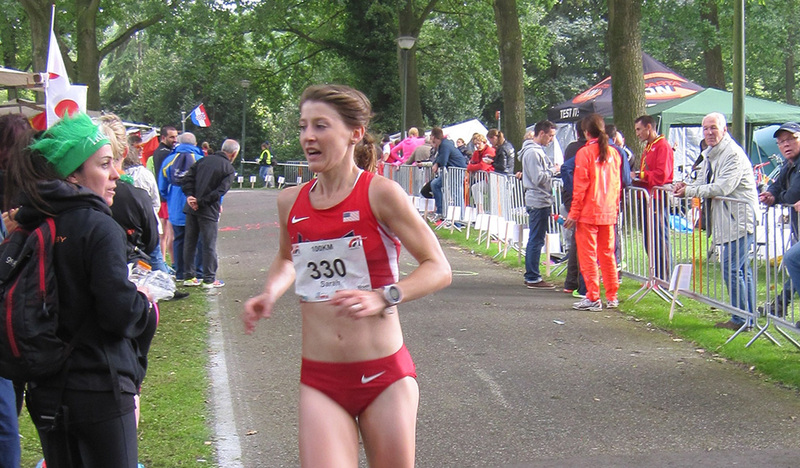 She went on, qualifying for the 100k World Championships by finishing first among woman (eighth overall) at the USA Track and Field National Championship at the Caumsett 50k in Huntington, New York, with a time of 3:23.28. From there, she went on to help her team win the gold medal at the 100k World Championships earlier this month. "It was a really great experience—fun and inspiring! I never would have imagined I'd have such an opportunity at this point in my life," said Bard. "The last year has really been a dream. I've had some great race results, but aside from that, I've renewed my passion for running and opened up a whole new world of learning."